Since 2013, Donald Trump railed against the Obama Administration’s misguided involvement in Syria. Frequently pointing out what a lose/lose situation Syria presents the US. Trump was so vehemently against our involvement in the backward country that the Daily Caller actually compiled a list of all the times Donald Trump warned against involvement. Well, apparently a lot can change… almost overnight. This morning, President Trump was much criticized for his “Mission Accomplished” tweet that brought back memories of President George Bush standing in front of the now infamous sign as he declared U.S. involvement was a major success. That war dragged on for ALMOST A DECADE and cost the American taxpayer over 2.4 TRILLION. This is certainly beginning to feel a lot like déjà vu. The post Déjà Vu? 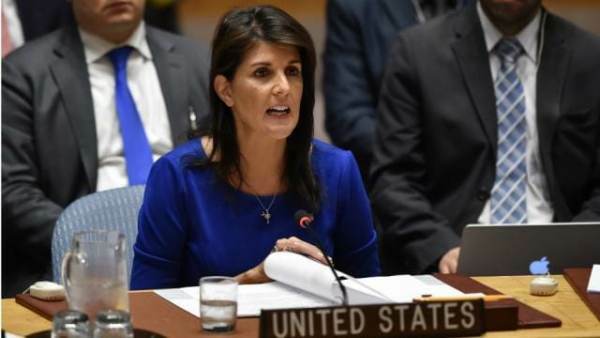 Trump Claims “Mission Accomplished” As Haley Says No Withdraw From Syria In Sight Until All “Goals Accomplished”, More Russian Sanctions On The Way appeared first on The Gateway Pundit.